Join Windies as they compete against Pakistan for the ICC Cricket World Cup 2019 at Trent Bridge cricket ground. Register your interest today to find your ideal ICC CWC 2019 hospitality package. 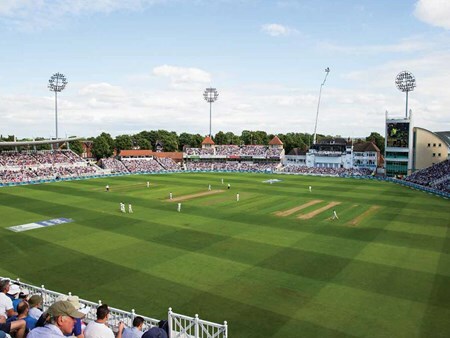 You and your guests can enjoy the first class hospitality at Trent Bridge whilst watching the action unfold in front of you. Enjoy exquisite hospitality without missing a minute of the world-class cricketing action. Situated inside a private suite with viewing balcony, there’s no more delightful way to see the world’s best international cricketers at this resplendent and historic venue. Private suites are available for groups of 12 guests. Enjoy exquisite hospitality without missing a minute of the world-class cricketing action. Situated inside a private suite with viewing balcony and personal chef, there’s no more delightful way to see the world’s best international cricketers at this resplendent and historic venue. Private suites are available for groups of 16 guests. Enjoy exquisite hospitality without missing a minute of the world-class cricketing action. You and your VIP guests will be treated to a three course lunch and complimentary bar in addition to the world’s best international cricketers at this resplendent and historic venue. Private suites are available for groups of 2 guests upwards. Can't find your favourite Windies v Pakistan | ICC Cricket World Cup 2019 package?